There are moments in life when you find yourself stood on the precipice of a huge decision, perhaps a daunting commitment. You’ve made it to the bungee spot, you’re all rigged up and your heart is thrashing through your chest… but you’re just not sure if this is all a good idea. 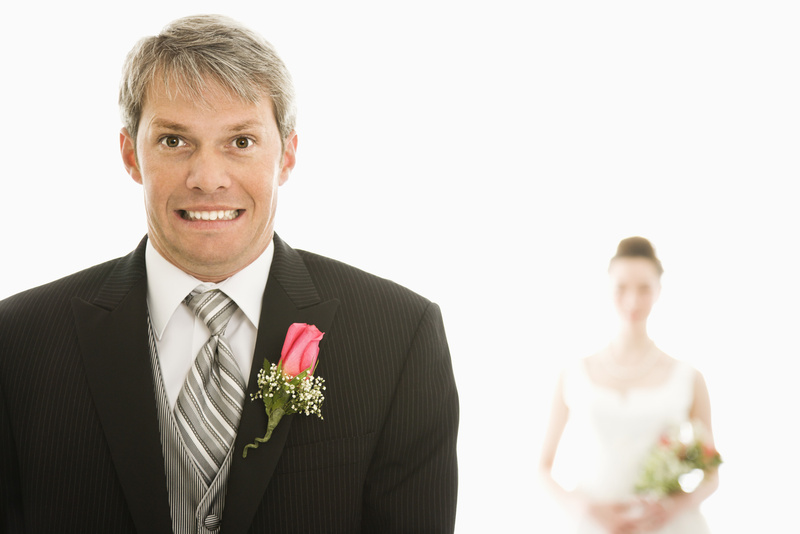 Cold feet is no new phenomena, every time there’s a wedding it is deemed possibly more inevitable than the wedding itself that either the bride or groom (or both) will get “cold feet”. It is expected that before we go through with a life changing action we begin to see all the ways in which an idea can turn bad, we start to focus on the negatives. I have a theory about why moving inherently involves a cold-feet stage. Here it is – moving is a zillion tiny decisions crammed inside a giant, life-altering decision. And inside a human brain, those all conspire to result in self-doubt and second guessing. Similar to Holly’s example of moving house, renovating, extending or building a house are also tasks undertaken by many fraught with doubt, second guesses and uncertainty. Are those tiles going to look like that in my kitchen? Should I go hardwood or soft floor finish? How do I heat this conservatory without just pouring money out the roof? All these questions are plausibly going to fly through your head, and the answers are bountiful and just as varied on this world wide web, but what if there was someone you could speak to? An actual human person on a telephone discussing your biggest worries and questions with you? After all grooms and brides have their respective wedding parties and parents and soon to be in-laws to help them through their cold feet and in to matrimonial bliss! It all starts with a hushed word, a hand on the shoulder; “Deep breaths” they’ll say, and you follow their advice, your heart slows and your chest shudders as your thoughts about marriage, moving, or a large purchase come back to Earth from the frantic whirlwind of worry that had clouded your judgement before. “You’re ready for this” comes the voice from what seems like a million miles away, but it’s not, their hand’s still on your shoulder, they’re still there to guide you through it like a labrador in a braille library. That’s the good thing about family, they’ll always be there for you. We recognise its intrinsic values, to have and to hold, for spring, for summer, for autumn and winter, to love and to cherish, until our lifetime guarantees do us part. Now I’m off for my honeymoon with floor heating, in the meantime – vanquish cold feet, call us to talk you through your heating upgrade, any question all answered.